Behind the twenty-first-century curtain of "colorblind" public sentiment lies an often-ignored reality shared by many African American males—racism continues to thrive and often drastically affects their lives. Fitzgerald draws on his extensive interviews of black males to reveal the experiences of racism that continue in public schools and in American higher education. 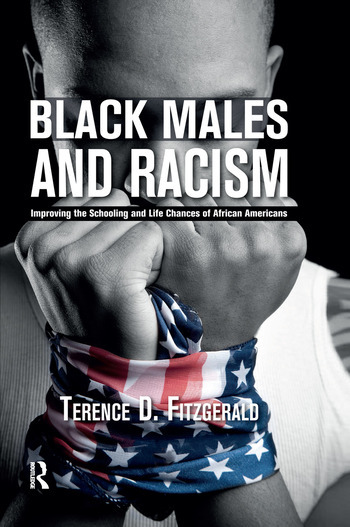 Using empirical data and the methods of sociological research, Fitzgerald analyzes how the persistent effects of white supremacy in education have threatened the psychological and economic welfare of black males. The effects often last well into adulthood. Unraveling the subtle and overt mechanisms of institutional social control leads Fitzgerald to proposals to reduce structural racism and improve the lives of African American youth. Terence Fitzgerald is Clinical Assistant Professor (as of Fall 2013) in the School of Social Work at the University of Southern California. This book is based on ten years of experience and research in schools. He is the author previously of White Prescriptions? The Dangerous Social Potential for Ritalin and Other Psychotropic Drugs to Harm Black Males (Paradigm 2009).